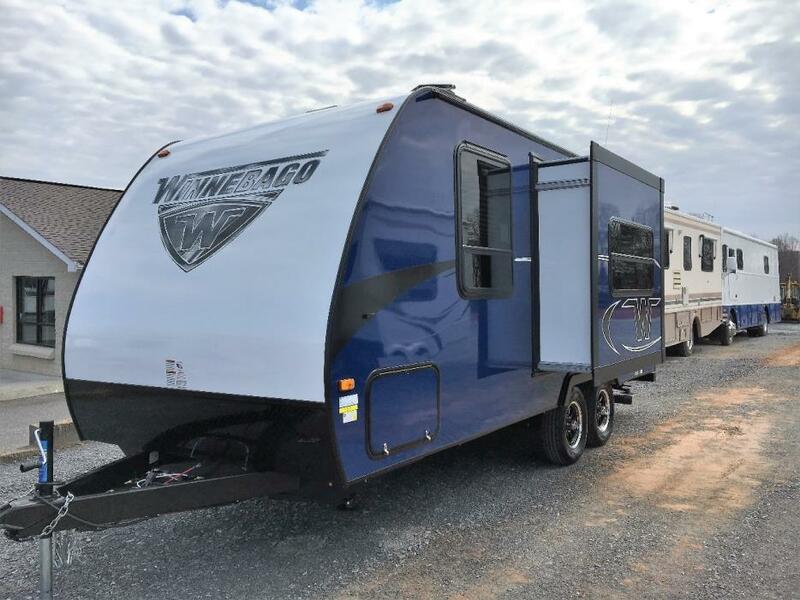 BRAND NEW 2018 WINNEBAGO MICRO MINNIE 2106DS! Compact size and easy to tow! 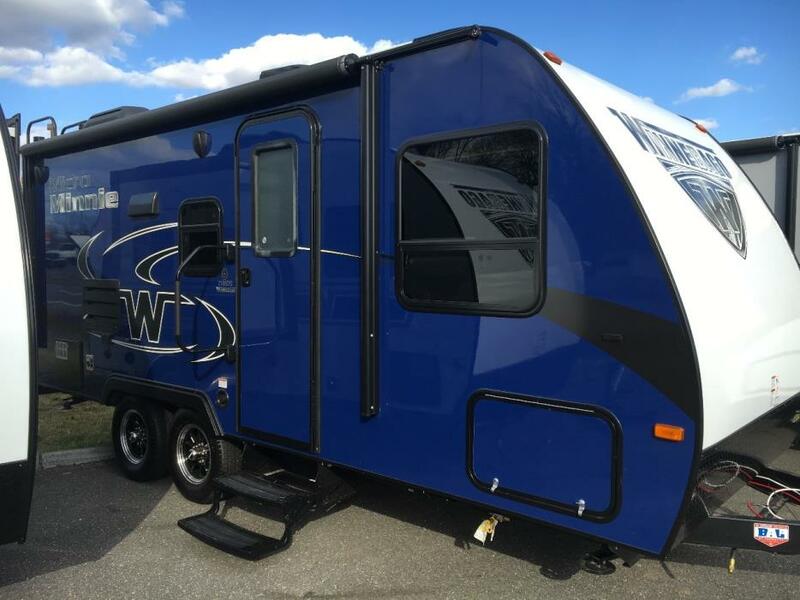 Great layout with a Murphey bed/sofa for extra seating, rear bath, and everythng you need for a comfortable camping trip! Blue exterior with Stone interior. Many standard features include bedspread, range hood with vent, stereo with DVD/USB/Bluetooth, bathroom skylight, night shades, tub surround, power bath vent, sink covers, LED lighting, stainless steel sink, 6 gallon water heater, single door refrigerator, 18000 BTU furnace, ducted air, 3 burner range, bedroom roof vent, microwave, TV, patio speakers, patio light, 20 lb LP tank, exterior TV hook up, power awning with LED lights, outside shower, enclosed heated tanks, 4pt stabilizer jacks, 17" range upgrade and 6 cuft double door refrigerator upgrade . Come see this camper at Virginia's newest RV dealer Timberlake RV, formerly T&M Motors, 21330 Timberlake Rd in Lynchburg!